Not impressed with this chart. 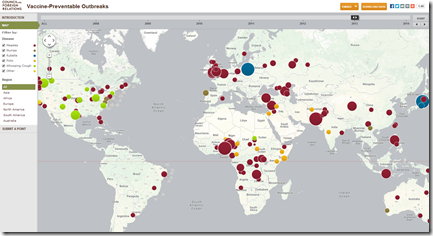 The size of the dots gives the impression that entire cities or countries are affected with the diseases. But when you hover over each mark, you find the smallest dot is 1 case, even though its the size of a city. If it is scaled somehow to population per sq mile, they’d be tiny pinpricks.